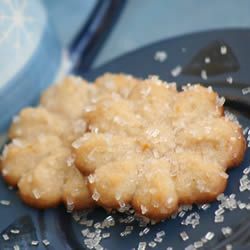 A wonderful Spritz cookie with cinnamon in it. These freeze very well. I followed the recipe exactly and they turned out exactly as I hoped. I will definitely be making more of these! It is definitely my "go to" spritz recipe.